A robust understanding and an efficient approach with regards to regulations and lifecycle management are inevitable for pharmaceutical manufacturers. Our "Seamless Lab Compliance" guide shows how pharmaceutical laboratories can profit from our state-of-the-art portfolio. Our products, services and solutions have been specifically developed to support you to conclude with regulations. We aim to assist you in developing and implementing internal controls and procedures. For instance: improvements in the instrument user & method management give you the assurance that you are working according to the latest regulations. 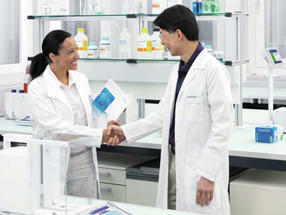 According to the World Health Organization, 124 countries have pharmaceutical production capabilities. Yet, regardless of where a drug is manufactured, each medicine must comply with stringent international regulations to guarantee its effectiveness and safety. Manufacturers should therefore aim for simplicity and clarity, avoiding complexity and the drive to cover all eventualities. Organizations must enable the business to support continuous improvement and monitoring of the document portfolio. 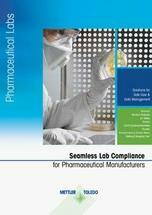 The updated Pharmaceutical Compliance Guide highlights products and solutions that were particularly developed to help pharmaceutical laboratories with compliance.